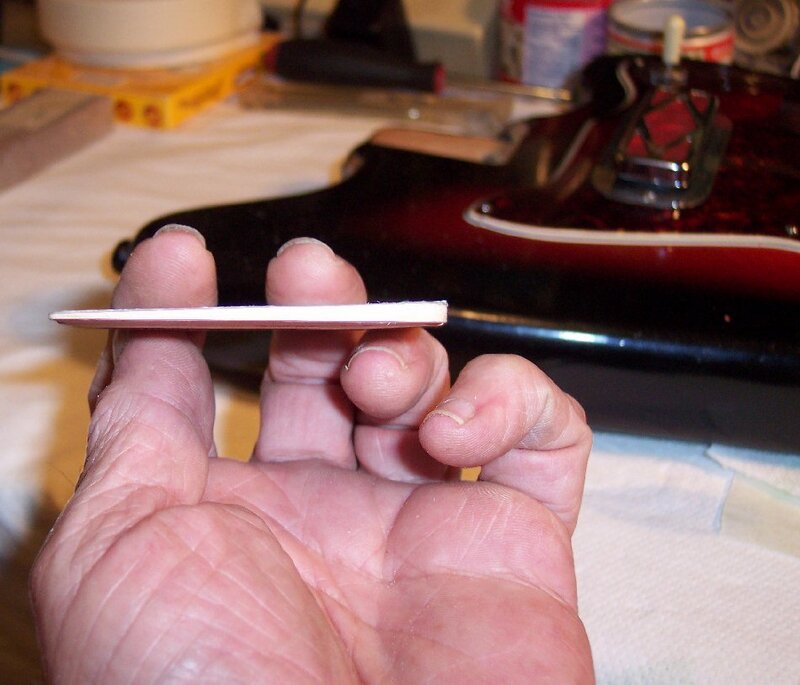 Final shim's thickest end is .075" and tapered to a paper thin edge on the other end; Shown upside-down here to it's position in the neck pocket. The neck heel screw holes have been filled once again, to accept the new shimmed screw angles without a bending moment along the screws. 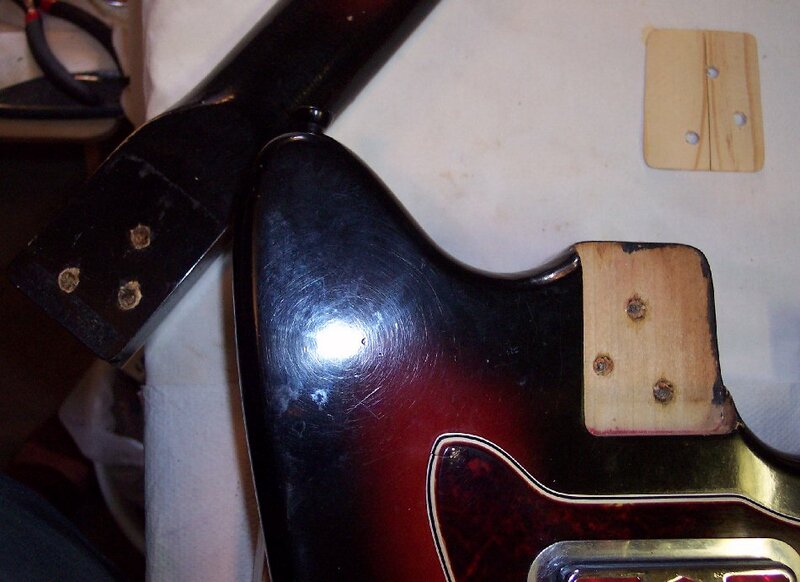 Here is a good look at the neck pocket screw holes with their refreshed wood sleeves made from flat toothpicks glued in with Franklin liquid / cold hide glue and compressed into shape with the neck screws rubbed down moderately with candle wax as a mold / glue release. 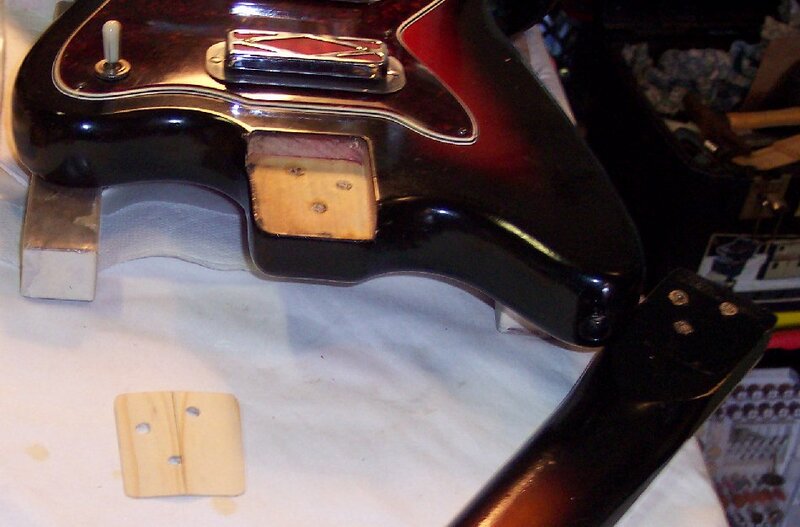 Many types of clamps can be used to squeeze and hold the neck heel in the neck pocket. 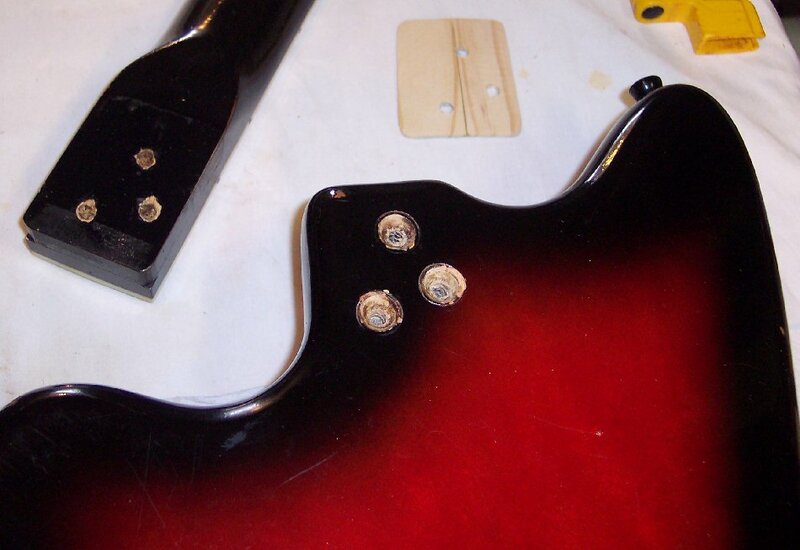 It's best to find clamps or make wood clamp feet that will spread the pressure across both the fretboard and the back of the guitar body right where the screws are going to be screwed down. 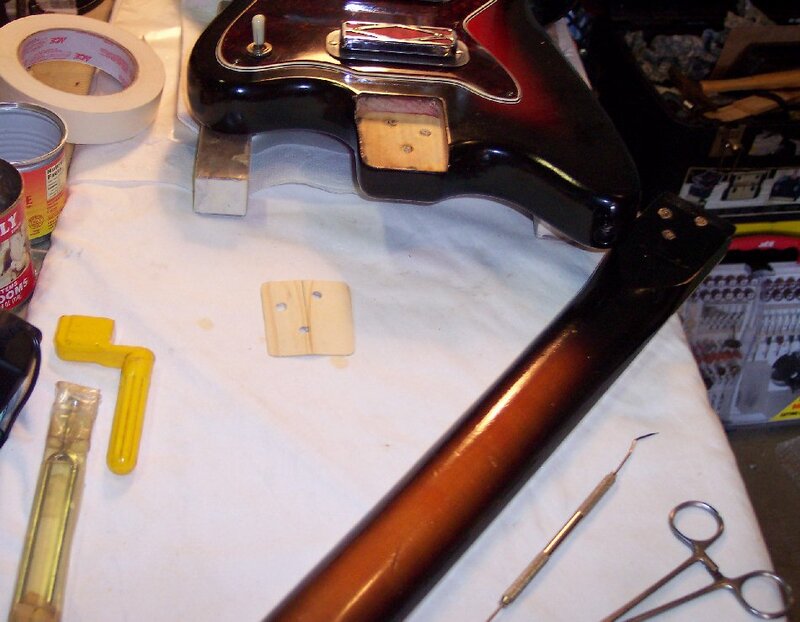 Put a good generous padding of paper towel, or leather, or such, so that the clamp will not scar the guitar. 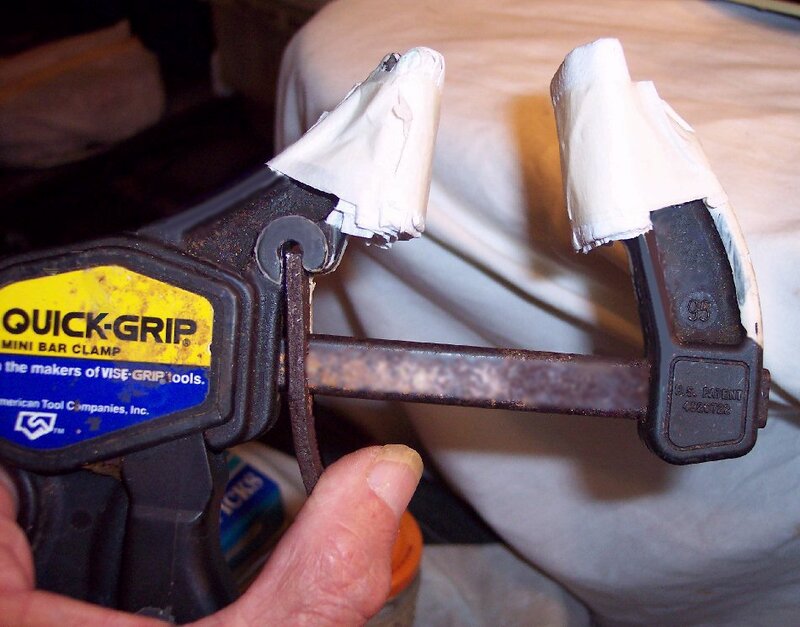 Wood plates / feet with one or more "C" clamps will also work good ....but be sure to put the padding even on the wood plates / feet.